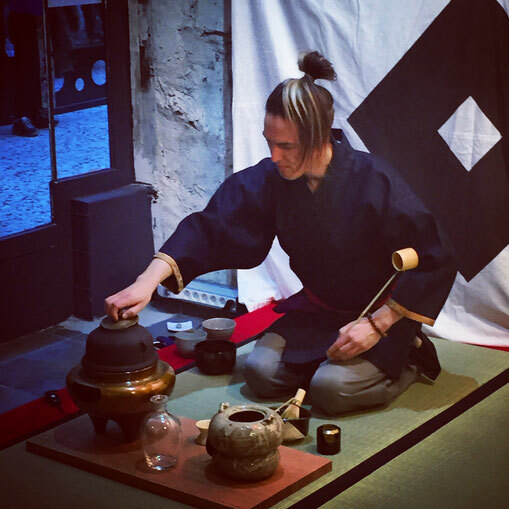 Studying the Ueda Tradition of chanoyu (Japanese tea ceremony) cultivates practical wisdom and a close affinity with the transient beauty of the natural world. This allows the practitioner’s everyday life to be more fulfilling, deepens their awareness of community, and rewards the practitioner with profound moments of tranquility, quietude for the mind, and deepened sensibility for their environment, themselves and others. 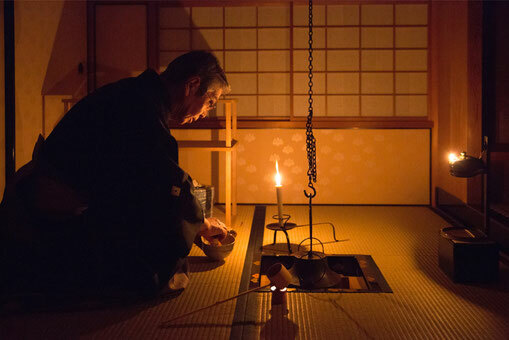 The temae (tea preparing ceremony) of the Ueda Tradition is often said to be elegant and beautiful. There are two reasons for this appearance. First, the actions of the temae are comprised of straight lines and all unnecessary movement is eliminated. This creates a clean, dignified appearance that is invigorating for the practitioner. Second, actions are performed similar to the in-to-out flow of the breath (e.g. 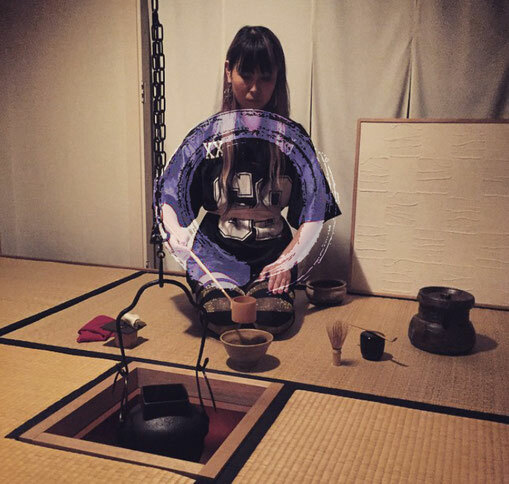 cleaning the whisk (chasendōji), rotating the tea bowl and whisking the tea). With practice, the temae can be performed in natural flowing harmony with the breath. 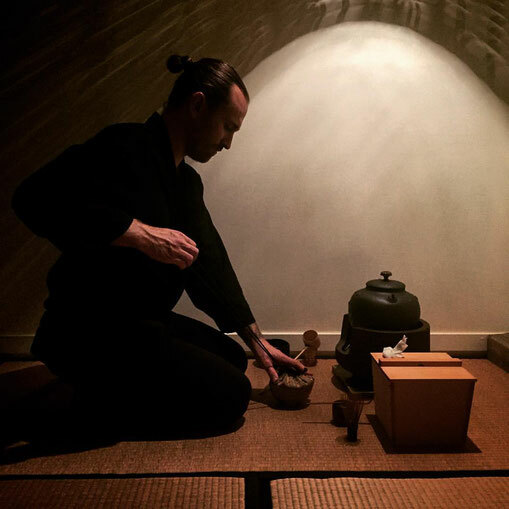 An 'unshakeable core directed outwards' is the fundamental direction of assertive action and the tea ceremony of the Ueda Tradition is based on this fundamental. 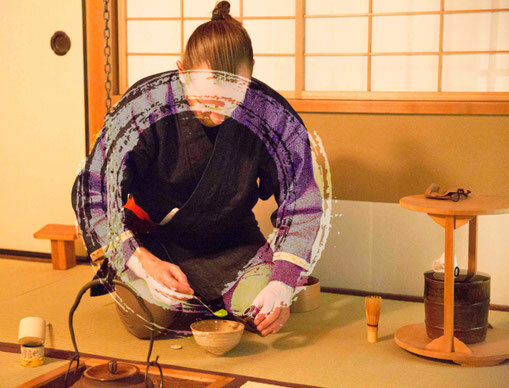 To capture this in the temae, the practitioner moves at one with an energising in-to-out flow of breath and moves the utensils as if they were and extension of their own flesh. These two aspects of (1) invigorating, clean actions comprised of straight lines, and (2) the strength of actions performed in harmony with the in-to-out flow of the breath, contribute to the dignified and beautiful appearance of the temae of the Ueda Tradition. An ideal of the Ueda Tradition is for utensils and the body to come together in harmony. One does not slouch, nor handle objects by moving just the arms. 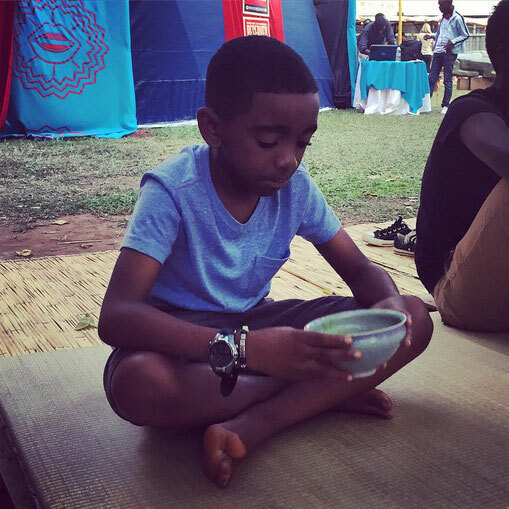 Handling objects from the central axis of the body, with good posture, is of fundamental importance. Objects are handled with a composed and stable posture, at navel height, 3 cm in from the tip of the knees, with the space of an egg open under each arm. These points create the sense of an 'ensō' or 'infinity circle' through one's arms, torso and utensil. One should feel as if water could flow unhindered through this ensō. Objects are held firmly with the thumb and middle finger and the index finger is added more lightly. Objects are not placed down just by moving one's arms, the whole body is used when placing objects down. The eyes focus on the utensil that is being used at that particular moment. Harmony is achieved when the utensil, body, arms, breath and eyes all move together. From an 'unshakeable core directed outwards'.